Bacteria builds up on your teeth and gums and you brush to remove this. This is only half of the bacteria however; the rest stays back on your tongue. This should explain why people get bad breath. To get rid of the bacteria that live on the tongue, scraping is the best method. The bacteria when built up will appear as a white coating on your tongue. This is most noticeable when waking up in the morning. While for most people this film appears white; but it can also have yellowish, brown or green look to it also. Since ancient India, tongue cleaning has been used to get rid of this film, and we still need to practice it today. When you are asleep, the digestive system, like many other organs, continue working. Its function is to detoxify our bodies, and the toxins that are removed end up on our tongues through eliminatory channels. Some people have what is called a, Geographic Tongue. What this means is the tongue has a lot of grooves in it that are hiding or breeding grounds for bacteria. This needs to be removed. When left there, this bacteria is known for causing bad breath. A toothbrush just doesn’t clean your tongue the way it should be cleaned. A tongue scraper, which is a small plastic device that has a curved edge, works best. Grab hold of the tongue scraper or cleaner and stand in front of the mirror. Stick out your tongue and position the scraper such that the right side of the cleaner is towards the surface of your tongue. Start cleaning your tongue by dragging the cleaner over the tongue surface. It will scrape off the germs and bacteria. Start at the back of your tongue and scrape or pull forward. Try to start as far back as you can to get more coverage. Some people have gag reflexes to this though. If that’s the case start closer to the front. Over time you’ll get used to it and the reflex will go away. Gently guide the scraper across the tongue six to seven times until surface is clear. Scrape should be gentle but firm. Don’t forget to do under your tongue as well. Why You Need To Use A Scraper? 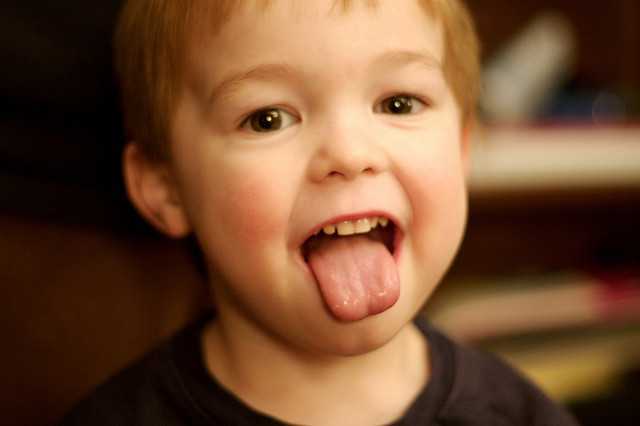 The first benefit to scraping your tongue is that it will improve your breath. You will be removing the bacteria build up on it that causes mouth odors. It’s going to surprise you the first time you scrape, just how much you will pull off. Another surprise in store for you is how much better your food will taste. Scraping is going to expose your taste buds, creating a better taste experience. It is said the more we enjoy and taste our food, the better our body is going to digest it. The film we mentioned earlier that settles on your tongue as you sleep is not something you want to re-ingest. Your body tried to get rid of it, and that is what you need to do. Scraping off this film before it returns to your body will help your immune system. Removing the toxins also leads to healthier teeth. Bacteria will create plaque build-up, gum infections and other dental concerns. Begin a morning routine of scraping your tongue. This is the best time to get rid of the toxins your system sent to it overnight and start your day out fresh. Food & Nutrition, Health Issues. permalink.